Most people, who undergo drug recovery face withdrawal symptoms. Post Acute Withdrawal Syndrome, or PAWS, is an important stage in the addiction recovery process. PAWS is a collection of symptoms experienced by some people upon stopping the use of alcohol or other addictive substances. In order to minimize the possibility of relapse, it’s vital to manage this syndrome in a professional manner. 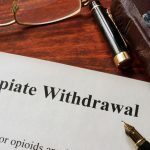 Post Acute Withdrawal Syndrome, or PAWS, needs to be understood properly by the person undergoing recovery therapy and the professionals providing such treatment. It’s normal to experience withdrawal symptoms once a person starts going off the substance they were in habit of abusing. Such withdrawal symptoms generally persist for a few days or weeks. This period is known as acute phase of withdrawal. Despite the apparent similarity in their nomenclature, PAWS and acute phase of withdrawal are two different conditions. Unlike acute phase of withdrawal, PAWS occurs 2 months or after stopping the substance abuse. It is also more psychological in nature than acute phase, which is predominantly a physiological condition. Though PAWS may be experienced by any addict undergoing withdrawal, it is more prevalent among people who have long history of substance abuse. The symptoms of PAWS begin to appear once the person is off the substance they were abusing. These symptoms are transient, as they may come and go without any notice. Each episode may last for a couple of days before subsiding, and the cycle may continue for several months or even years. The symptoms of PAWS differ from drug to drug, so it is vital to pay attention to the type of substance abused by the person. The main reason behind the occurrence of such symptoms is the brain’s attempt to return to normalcy, after kicking off the addiction. The length of each episode continues to decrease as eventually the person does not feel any symptoms at all. On average, a person may experience PAWS for up to 2 years. Due to this long duration, it is important that the person is fully aware of the modalities of PAWS, as in many cases the former addict may lose morale and relapse. PAWS is an important stage in recovery process. There are several reasons as to why the person undergoing recovery and the concerned professionals should pay utmost attention to PAWS episodes. Post Acute Withdrawal Syndrome is widely considered to be one of the biggest reasons behind relapse. The sudden occurrence of these symptoms may catch the person off-guard, leaving them vulnerable to falling into the addiction trap again. However, if the person is aware of PAWS, they are in more empowered position to tackle the syndrome in a positive manner. Another essential reason for paying attention to PAWS is its long duration. This stage may last for up to 2 years and in some rare cases, even beyond that. Proper understanding of PAWS allows the person to become more patient as it lets them understand that the process of recovery may not be hurried through. PAWS should be seen in a positive light as it signifies the brain’s attempt to return to normal condition. The approach towards treating PAWS is generally customized as it mainly consists of psychological symptoms. The intensity of this syndrome may be greatly addressed with the help of therapists and counselors. Educate Yourself: This applies both to the recovering person and the professionals involved in the process. The more they know about PAWS, the easier it is to deal with the syndrome. As the syndrome lasts for a long time and has recurring nature, proper awareness of its unique characteristics help the patient in managing their expectations in a more realistic manner. Remain Active: Coming off a long addiction generally leaves a void in a person’s life. In order to compensate for this loss of habit, it should be ensured that the person channelize their energy in alternative venues. People recovering from addiction may be encouraged to take up sports or other physical exercises. Such activities are not only good at promoting the production of feel good hormones, but also have psychological impact of keeping a person motivated and focused. A busy person is also less likely to experience anxiety and depression. PAWS should be recognized as an integral part of the recovery process and should be dealt with in an appropriate manner. The successful navigation through this phase may lead to long and fruitful drug-free life.